"L&M picks up and meters our mail for us. We eliminated our meter and the costs and hassles that go along with it. We also eliminated office employee time and having to keep up with changing rates and regulations. And all for less than the meter lease alone!" Have L&M pick up your mail and apply postage for you! 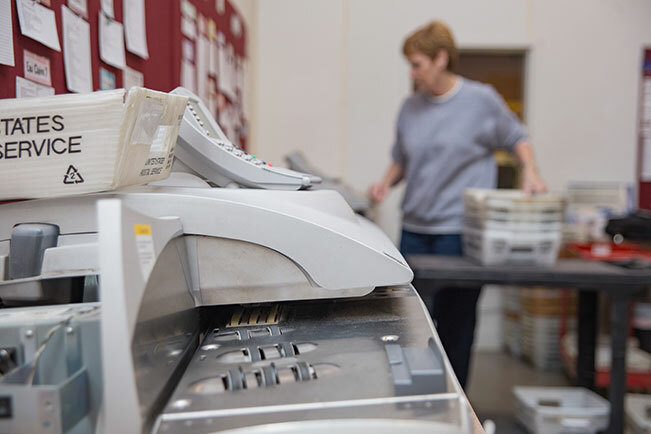 Our daily mail metering service allows you to get rid of your postage machine and all costs associated with it. You save on postage too! © Copyright 2016 L&M Mail & Courier, Inc. All rights reserved.